Long Island is an island in the Bahamas that is split by the Tropic of Cancer. Its capital is Clarence Town. Long Island is one of the Districts of the Bahamas and is known as the most scenic island in the Bahamas. The population is 3,094 inhabitants. Long Island is about 130 kilometers (80 mi) long and 6 km (4 mi) wide at its widest point. The land area is 596 km2 (230 sq mi). Long Island is situated about 265 km (165 mi) southeast of the Bahamian capital of Nassau, which is located on the island of New Providence. The Tropic of Cancer runs through the northern quarter of the island. Long Island is particularly noted for its caves, which have played a major role in the island's history. 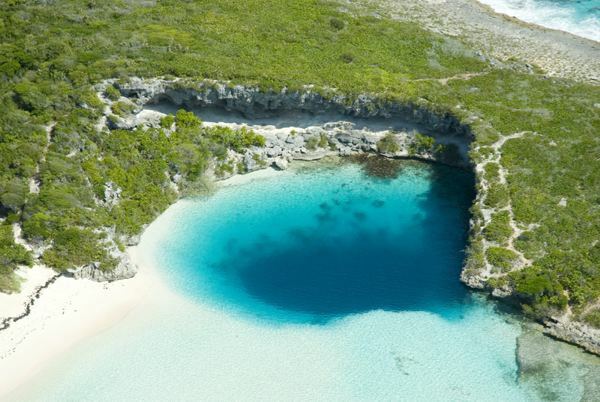 Dean's Blue Hole, located west of Clarence Town, is the world's second deepest underwater sinkhole, dropping to a depth of about 200 meters, making it more than double the depth of most other large holes. Long Island is surrounded by small bays and inlets, including the large New Found Harbour west of Deadman's Cay, at approximately the midsection of the island. There are also smaller islands off-shore, including Sandy Cay. The island was originally called by the Arawak name "Yuma." It was rechristened "Fernandina" by Christopher Columbus on his first voyage in 1492, during which Long Island is believed to have been his third stop, following San Salvador and Rum Cay to the east. Archaeological evidence, including ceremonial stools called duhos, shows that the Lucayan Taíno tribe settled on Long Island, probably in the island's cave system. After the demise of the Lucayans, who were taken as slaves to Hispaniola and Cuba, there was no large settlement until the arrival of the Loyalists. The original Loyalists were mainly from New England and New Jersey and arrived on Long Island after fleeing the American Revolution. These families started the first farms, primarily raising cattle and sheep. By the 1790s, settlers began to arrive from the Carolinas and proceeded to set up cotton plantations. The plantations flourished for only a few years and, by the time of the abolition of slavery in 1834, most had collapsed and been abandoned. There are many ruins from this era today, the majority of which are overgrown by bush. 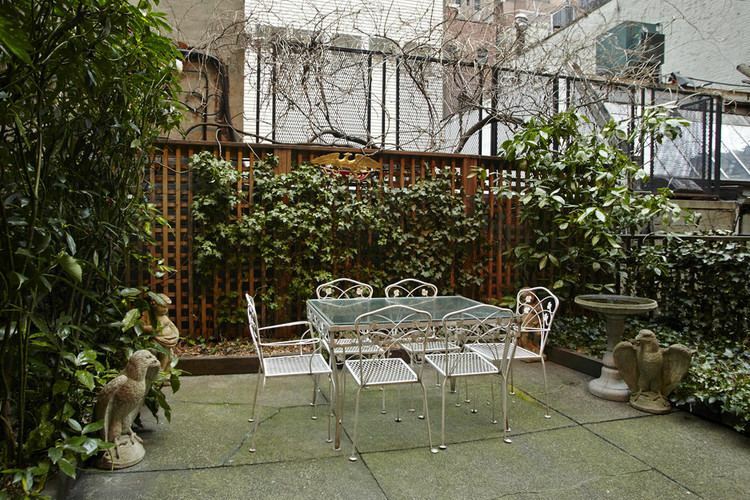 There are also remains of some of the houses built after slavery, which are usually small and built of stone. Originally, they had thatched roofs; today, most are shingled. The descendants of these families continue to be widespread on the island. Clarence Town, located in the south-central portion of the island, has a population 86 people. Nearby Deadman's Cay (pop. 328) is the major settlement at the centre of the island and is home to Deadman's Cay Airport, which offers flights daily to Nassau and is the island's largest and busiest airport. Mangrove Bush (pop. 142) is the home of the island's boat-building trade, while Hamilton's (pop. 196) is noted for its extensive cave system that is partially open for tours. Salt Pond (pop. 98) is home of the Long Island Regatta, an annual event that draws tourists from around the world. Stella Maris (pop. 80), at the northern part of the island, is the centre of the island's tourism industry and features several resorts. It is served by Stella Maris Airport. Seymour's, the northern most settlement, has a monument dedicated to Christopher Columbus. Buckley's (pop. 54) is home to Nelson Glandville McFarlane Major High School, which frequently has the highest Bahamian GCSE scores among the nation's public schools, as well as the Long Island Library and Museum. Other settlements include Roses (or Roses Settlement), Scrub Hill, Simms, and Burnt Ground. Most of the island's settlements are named after the families that first settled them. As a result, many (but not all) are named in the possessive form. The settlement of the Gray family, for example, is known as Gray's. One main road, originally designed for carriages, runs from Cape Santa Maria, at the northern tip of Long Island, to the southern tip at Gordon's. Transport on Long Island is road-based, with limited taxi service available, particularly from Stella Maris to Deadman's Cay and Clarence Town. Part of the economy is based on tourism and farming, but fishing dominates. The inhabitants grow peas, corn, bananas,and they raise small livestock such as pigs, chickens, goats, and sheep. Some cattle are raised for export. Tourist opportunities include sailing, fishing, scuba diving, freediving, snorkelling and relaxing on beaches. 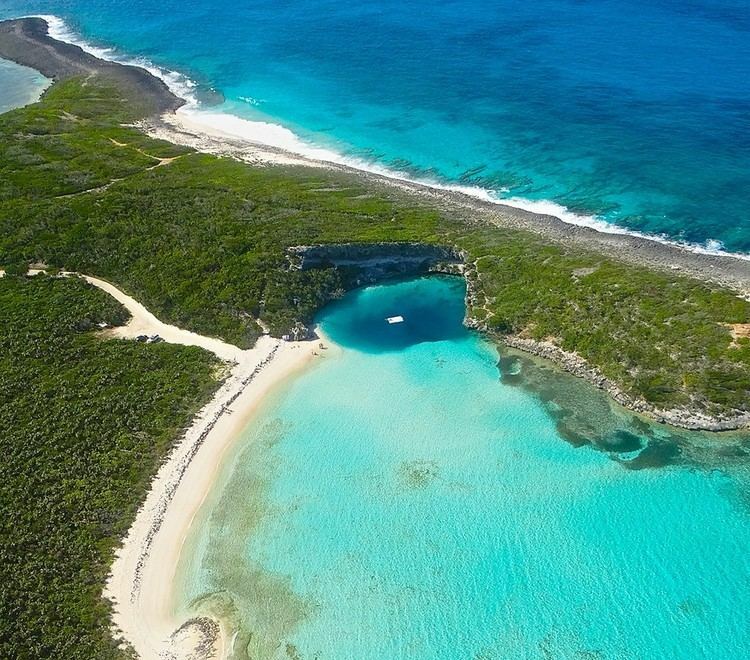 Cape Santa Maria Beach, located at Stella Maris, is frequently ranked as one of the most beautiful beaches in the world. 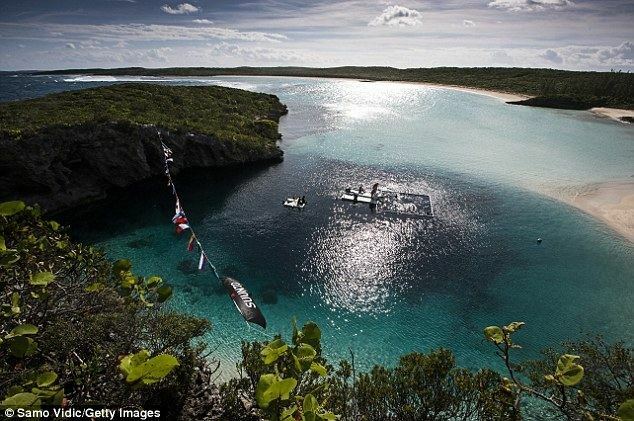 In recent years, competitive freedivers have sought out Dean's Blue Hole as a unique dive site, hosting both world records (most notably by New Zealander William Trubridge) and one world championship (in 2009). Most tourists charter an airplane or take a commercial flight from Exuma International Airport at George Town, Exuma or Nassau. International flights offered by Locair are planned and will mark the first return of regular international flights in over ten years.